The natural classic divan bed is upholstered with long stranded horsetail hair, hand teased and incorporated using the skill and craftsmanship of quality craftsman. 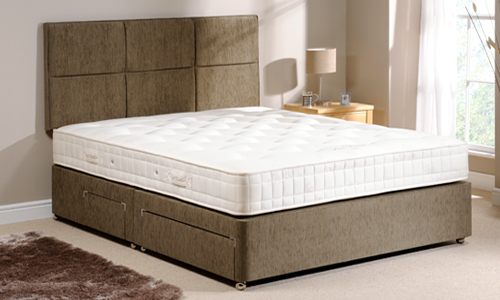 The Classic Divan is constructed using 950 individually pocketed springs. These are then attached to a solid timber frame giving perfect support an extra comfort. 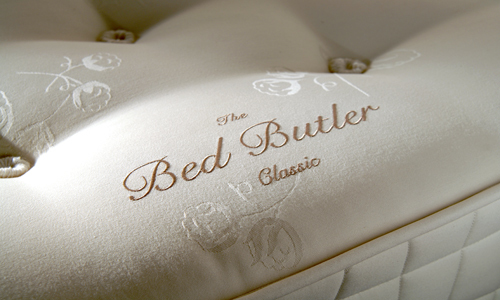 The springs are overlaid with 1200 GSM of British fleece wool and finest cotton padding. Burger van frame is covered with insulating wadding and the ticking case is calico lined for extra protection It is supplied in a brown finish with the head board giving a modern look with its square effect, making it ideal for any modern or traditional bedroom. There are two draws on each side of the bed with a full width drawer at the foot end and a half drawer at the headboard end. The half drawer allows for bedside cabinets to be placed beside the bed without affecting access to the drawers. The Divan base is divided in half and allowing ease of transporting. The two parts are zipped together across the width of the bed giving full support at all parts of the bed. 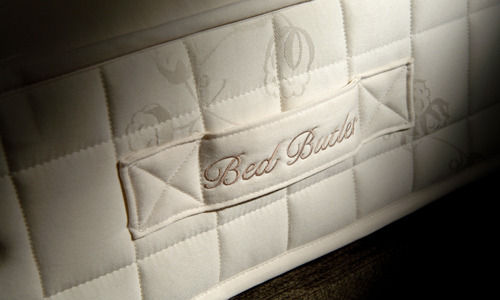 The Classic Pocket Latex Mattress pocket springs and Latex is held in place with and finished off by soft hand made tufts. The mattress is covered with the latest material and finished with vertical stitched borders this ensures that the support is even over the whole of the surface of the mattress, even the mattress edge. There are chrome vents built into the side of the mattress to allow it to `breathe`. There are Flag stitched handles to help with moving the mattress but it does not need to be turned as the Latex should always be at the top. Clear lacquer used to enhance the beautiful walnut wood gives perfect protection against stains and damage.